1. Find an experienced California DUI defense attorney. Make sure you hire a specialist who is familiar with current DUI law and science, someone with experience discrediting prosecution witnesses and challenging DUI test results. 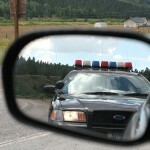 A good DWI defense lawyer can also represent you at your DMV license suspension hearing. It’s important to retain a good DWI defense lawyer at once. Evidence needs to be gathered quickly, and you have only ten days to request a DMV hearing or your license will automatically be suspended. 2. Request a DMV Hearing. When you are arrested for DWI, the arresting officer will confiscate your driver’s license and gave you a Temporary License/Order of Suspension. The Temporary License expires in thirty days – so does your driving privilege – unless you request a hearing within ten days. In many cases, an experienced DWI defense attorney can help you keep your license. 3. Follow your attorney’s advice. If you have found an experienced DWI defense attorney and requested a DMV hearing, you can relax for now and let your lawyer do the job. If he or she needs information from you, you’ll be called. Your attorney will compile evidence, locate witnesses, and develop an effective defense strategy. He or she will handle all negotiations with prosecutors (and anyone else such as insurance companies). If you are charged with DUI in California – now or in the future – protect yourself, be wise, and speak at once with an experienced California DUI defense attorney.